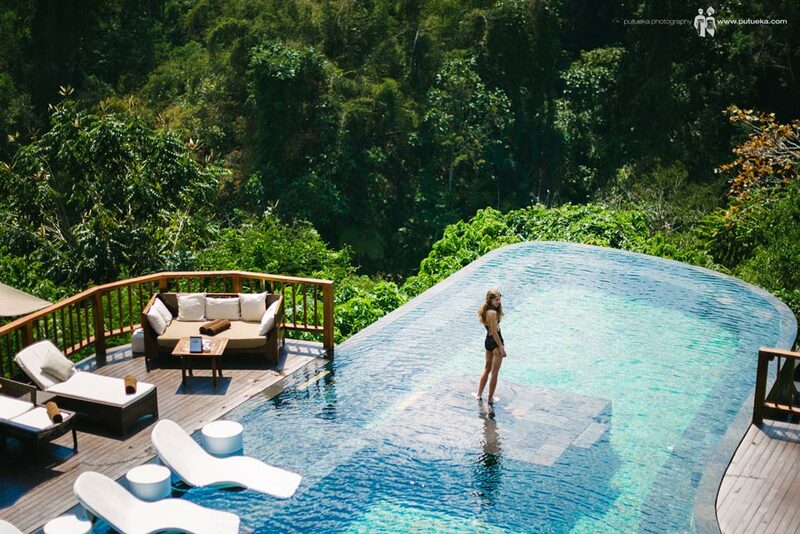 Hanging Gardens of Bali is a luxurious destination in the heart of the jungle. 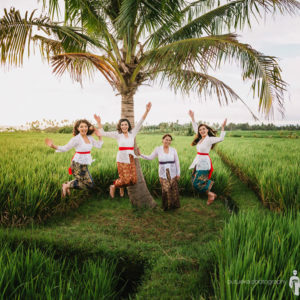 It is situated near Payangan: a village North of Ubud, whilst the hotel rests in the centre of the magical island of Gods. 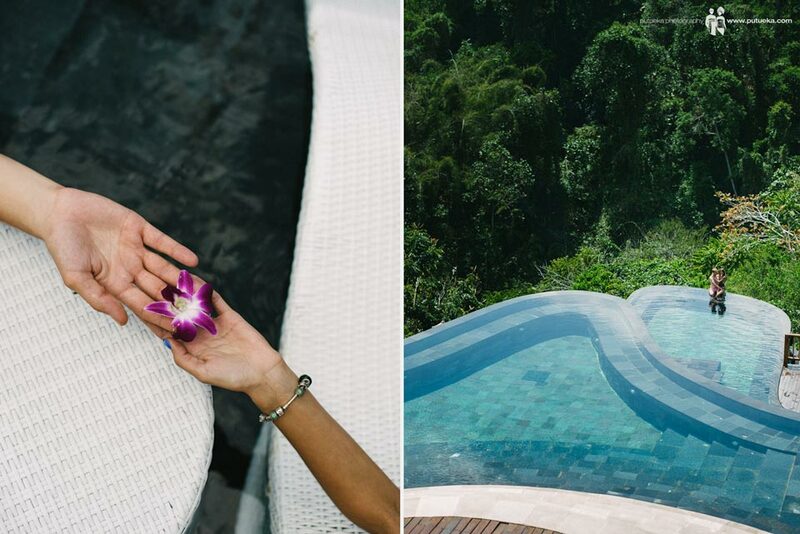 Ubud was once regarded as a haven for cosmic seekers and pot-growing hippies. Now, without losing its holistic edge, it is Bali’s preeminent centre for arts and crafts. Over the last few years, Evgeny and Julia started seeing photos of an infinity pool floating in the middle of a rainforest canopy that immediately caught their attention. 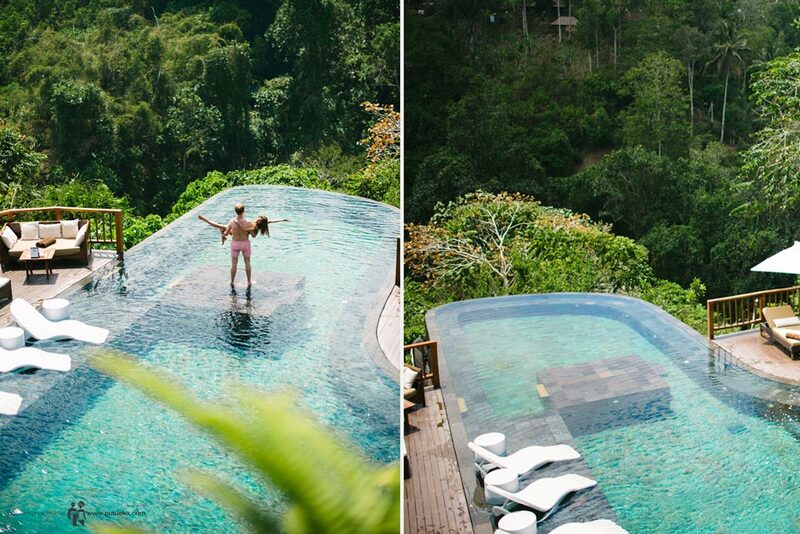 They located this otherworldly pool at Hanging Gardens of Bali. What made the reputation of the resort is the bi-level infinity pool, recently awarded best pool in the world! This contemporary piece of art will leave you speechless! The striking formation is suspended over the dense rainforest, giving swimmers the unique sensation of floating above the treetops. The pool is lined with stone and features a wall of solidified volcanic ash. 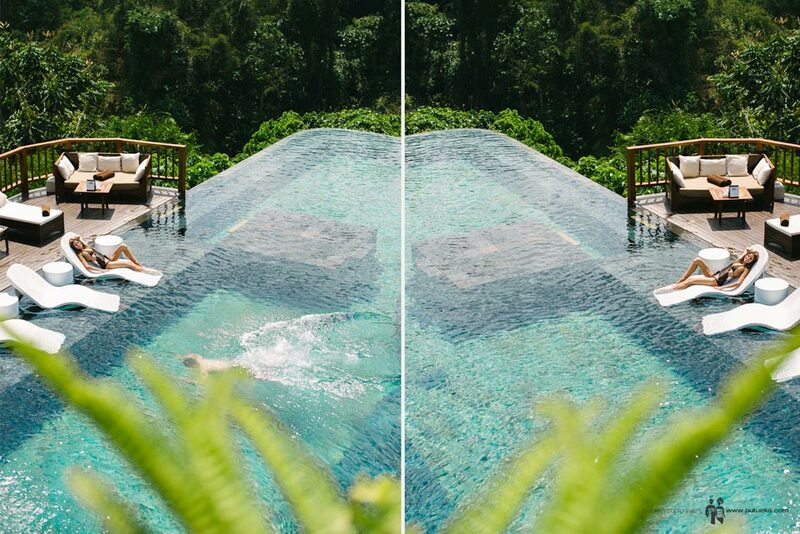 The pool appears to be suspended in mid air over the surrounding jungle and was designed to replicate the contours of the steep terraced rice paddies, which are an iconic feature in Ubud. 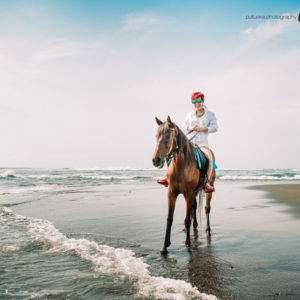 As travelers, they are always searching for unique experiences. Special moments that help to elevate their mundane day-to-day existence into the sublime. The type of experiences that create special feelings that will always be remembered and carried in their hearts and minds forever. These moments can be transformative that change their lives dramatically or can wait in reserve, stored in back pocket so that during moments of stress they can be remembered and help not feel so overwhelmed. cocoa and coffee trees effortlessly blend in with the bamboo trees and orchids enveloping us in their intoxicating scents. Also the sound of the fast flowing rapids of the Ayung river keeps our spirit alive and fresh. You have entered an Ubud Bali private paradise that will forever leave a lasting mark on your spirit. Julia can not refrain herself to make water splash using her hair. Absolutely gorgeous splash. But, due to the high elevation, air temperature in this area tend to be on the chilly side. 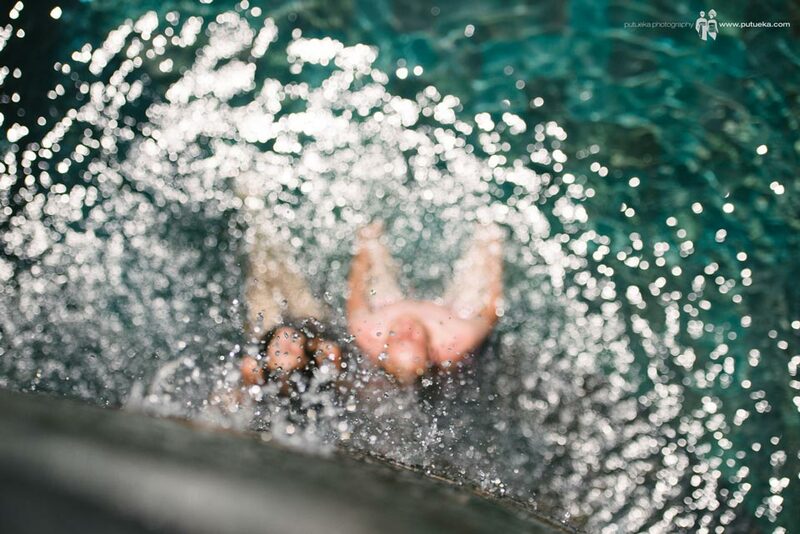 Makes Julia cant stay for longer to make water splash inside the twin-tiered infinity pools for photo session. 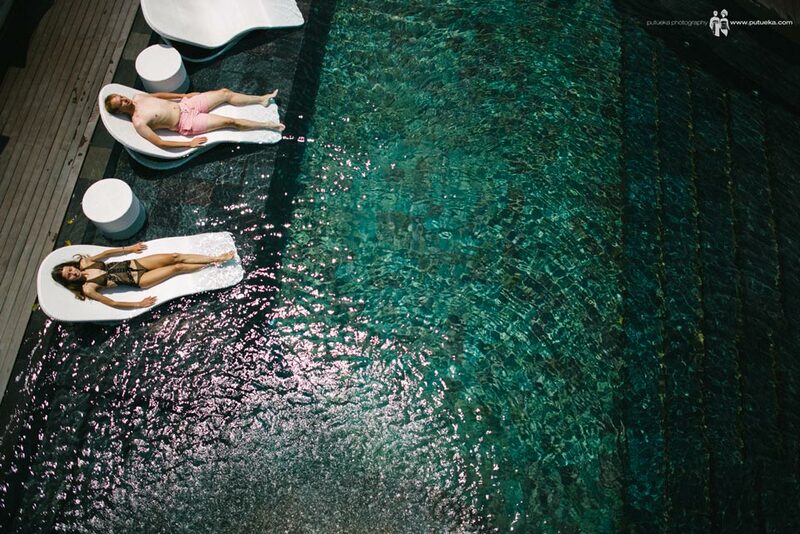 Hanging Gardens of Bali is without a doubt one of the world’s most striking and romantic settings for weddings, special social engagement and events, including anniversaries ceremonies and honeymoons. 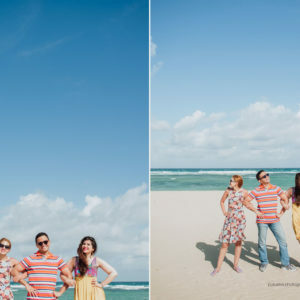 Enjoy each and every moment in the exquisite paradise of the island. Thank you for sharing your lovely day with me, Evgeny and Julia. You are an inspiration.